The electronic hotel safe models ELITE and ECOSAFE, are the result of more than 30 years experience in the hotel industry. Our hotel safes provide top security protection for the comfort of the guest. Our objective is to offer electronic safes with an innovative design and premium quality, taking into account that the operation must be made simple and intuitive for the hotel guest. 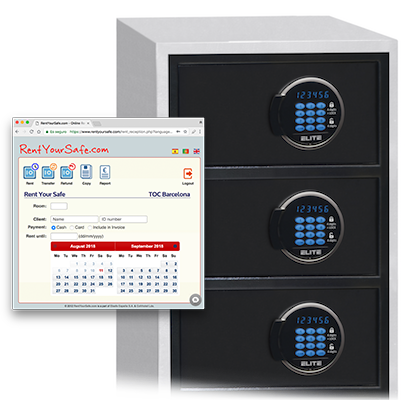 All our safes offer an audit trail functionality that registers the latest opening and closing operations. These safe models also include a mechanical key for emergency openings or an optional electronic handheld opening device. We produce under strict quality management standards to ensure absolute reliability. All of our hotel safes are available for sale and also in rental mode. Please contact us for further details. Traveling without a smartphone, tablet or laptop is unthinkable. Wouldn’t it be great, if these devices were always charged and good to go? With the new StarSafe, they can! Equipped with a universal power socket, and two USB ports on the door, all devices will now be safe and easily charged. 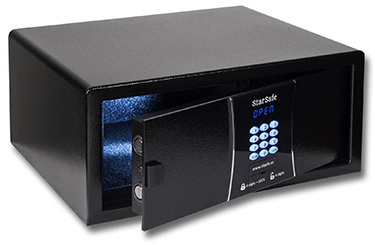 The new StarSafe also comes with the online rental management software . The sophisticated ELITE model combines modern design and security. For the most demanding hotels looking to impress their customers. This model comes equipped with the most advanced online rental management system . The new most advanced ELITE model provides design and safety for your hotel room. 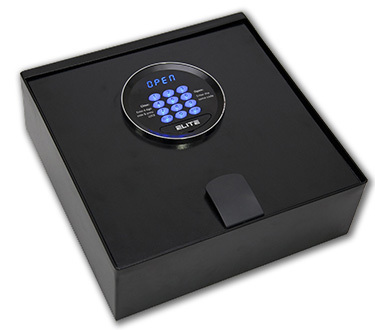 ELITE Top Open is equipped with a blue illuminated display and keypad, with interior LED light. 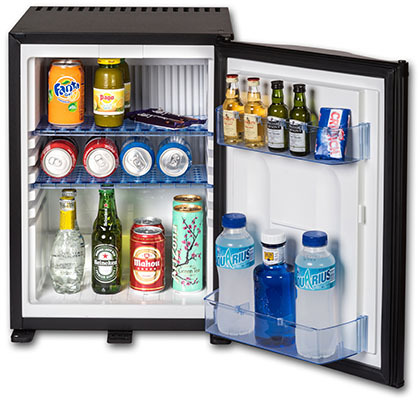 The top opening allows for easy access and visualization of all stored items. Comes presintalled with the most advanced online rental management system . The result of 30 years experience dedicated to the hotel safe business. The first model of our own product range and the most sought after electronic safe for its quality/price ratio. Optionally available with the most advanced online rental management system . 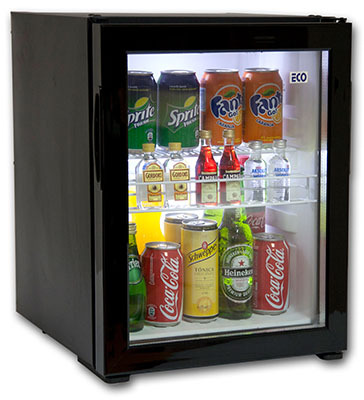 Elsafe España provides safes for any requirement: for the hotel, for professional or for home use. We have a wide experience in this field. Do not hesitate to ask for a quote..
Hostels with shared dorms have normally relied on cupboards with padlocks or safes only at Reception. Elsafe España now provides a more professional solution with tailor-made safe towers that can be installed inside each dormitory. Using our safe rental management system RentYourSafe, the safes can be easily managed online and generate additional income. Learn more how you can benefit from this new solution with or without investment. 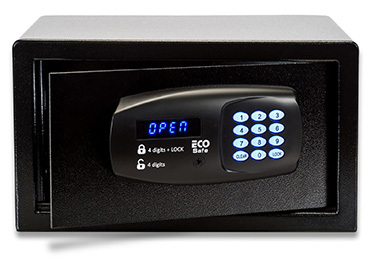 The ECOSAFE hotel safes are our most sought after electronic safes, due to their excellent quality / price ratio and available in three sizes, ECOSAFE Laptop, ECOSAFE Tablet and ECOSAFE Office. 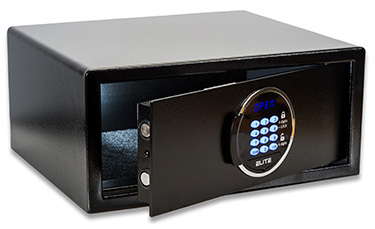 These electronic safe models have a modern design that adapts well to any hotel interior. It is a solid safe, with curved profiles and large keys and display for ease of use. 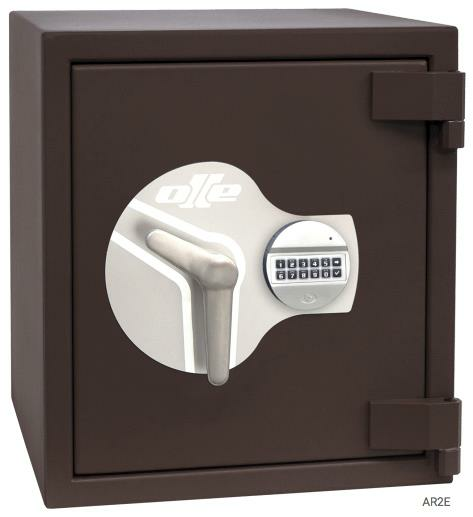 Optionally, this safe can be upgraded to use with our online rental management software RentYourSafe.com.